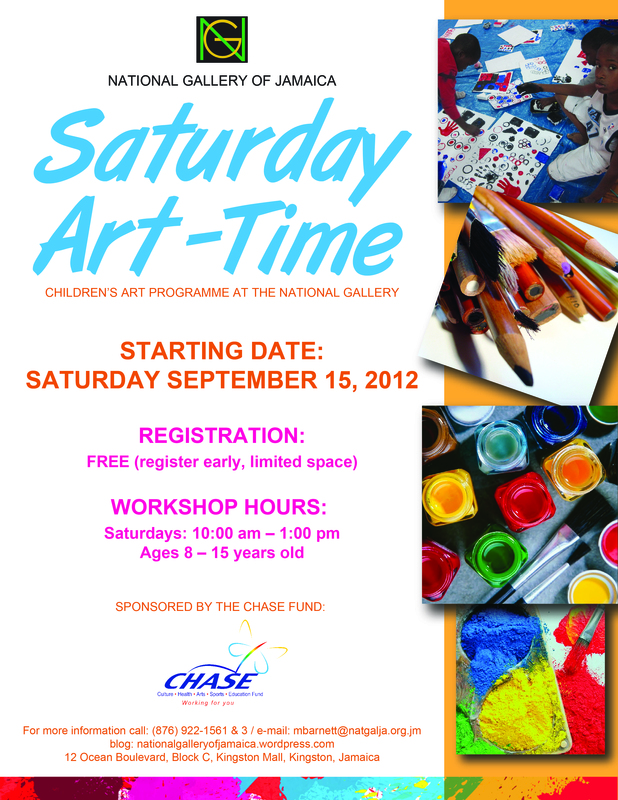 The National Gallery of Jamaica is delighted to announce the resumption of its innovative child art programme, Saturday Art-Time, on Saturday September 15, 2012. The programme, which is now in its fourth year, consists of a range of gallery-based art workshops for children from ages 8 to 15 years old, announced Dr. Poupeye, Executive Director of the National Gallery. “The children are invited to come and experience exciting visual art workshops in a fun, cultural and educational environment with gifted and capable art instructors,” encouraged Mrs. Monique Davidson, Curatorial Assistant at the Gallery. Davidson further stated that the young participants are taught a variety of art-making techniques such as drawing, painting, assemblage and collage. Additionally, these workshops provide an opportunity to learn about Jamaican culture and history through the National Collection. Registration forms are available at the National Gallery. For more information, contact the National Gallery’s Education Department at 922-1561 / 3 (Lime landline) or 618-0654 / 5 (Digicel fixed line) or via e-mail at info@natgalja.org.jm.